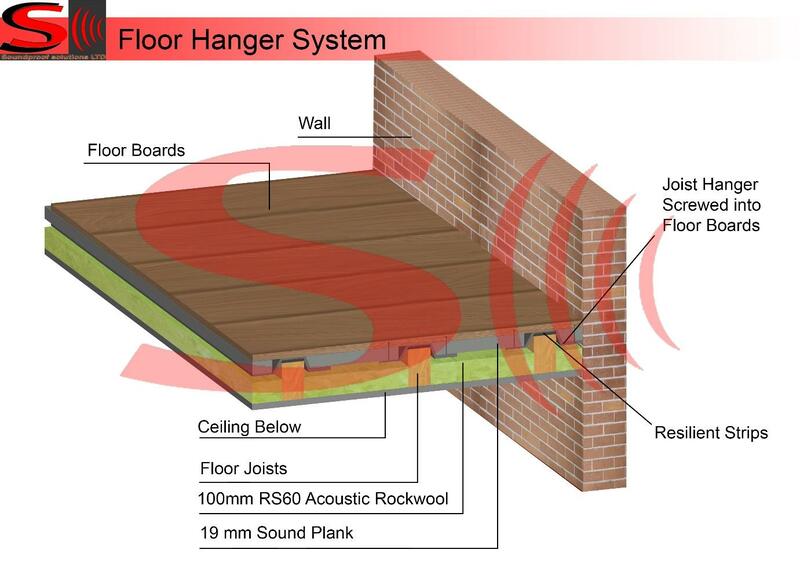 This system reduces airborne and impact noise transmitted between two properties (loud music, footsteps). For that solution we have to lift floorboards, then we place 100mm acoustic mineral wool between the current joists. Floorboards will be replaced. Then on the top of the floorboards we place 15mm DB boards. Floor Height Loss 15mm. Noise reduction 60-65%. All edges and joints will be sealed with an acoustic sealant. The solution can be upgraded with additional 5mm Acoustic membrane (optional cost) to increase the efficiency. This is a good solution when wanting to retain original floor boards. That solution reduce impact and airborne noise. The floor height raise only 7mm. Noise reduction 70-75%. This is currently the most effective solution on the market. 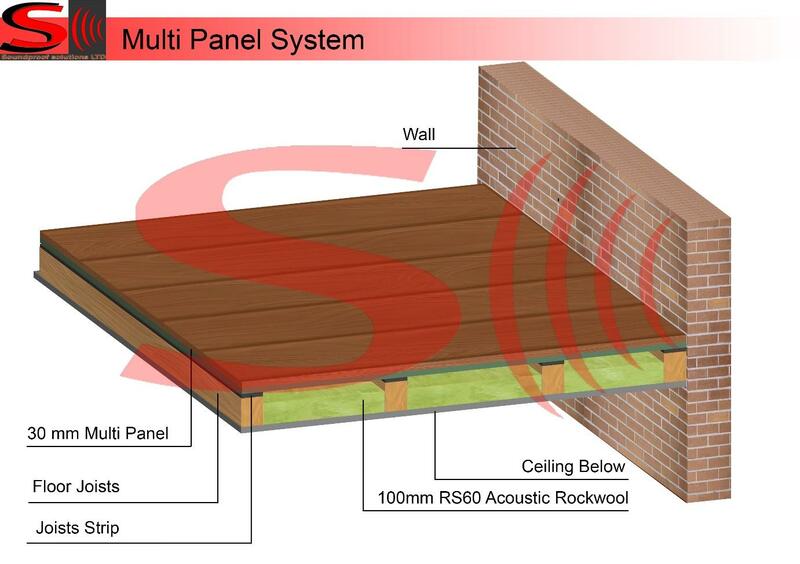 Mass panel can be used for refurbishment and new build floors. By adding high levels of mass to the floor it is able to provides excellent levels of airborne and impact sound attenuation. With this solution the floor will rise around 12mm. Noise reduction 70-75%. 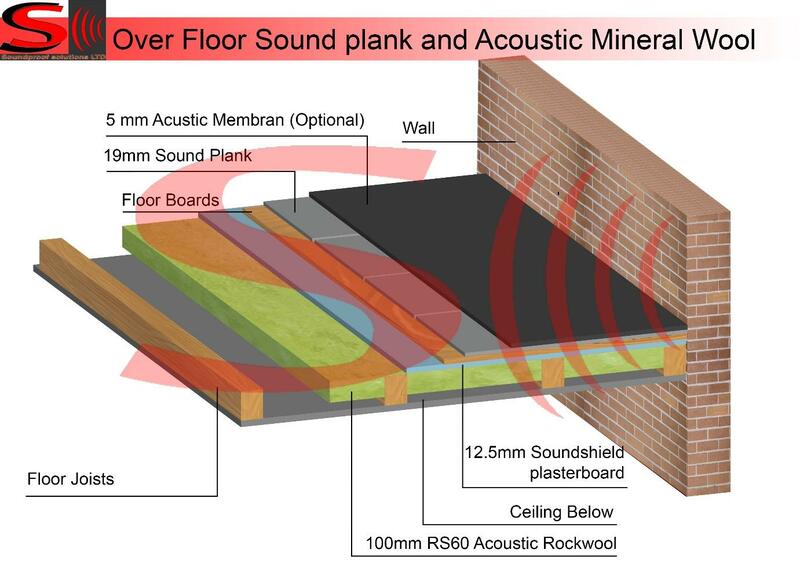 Very good solution to soundproof floor. This system reduces airborne noise (low effective against impact noises) transmitted between two properties by 50% – 55%. 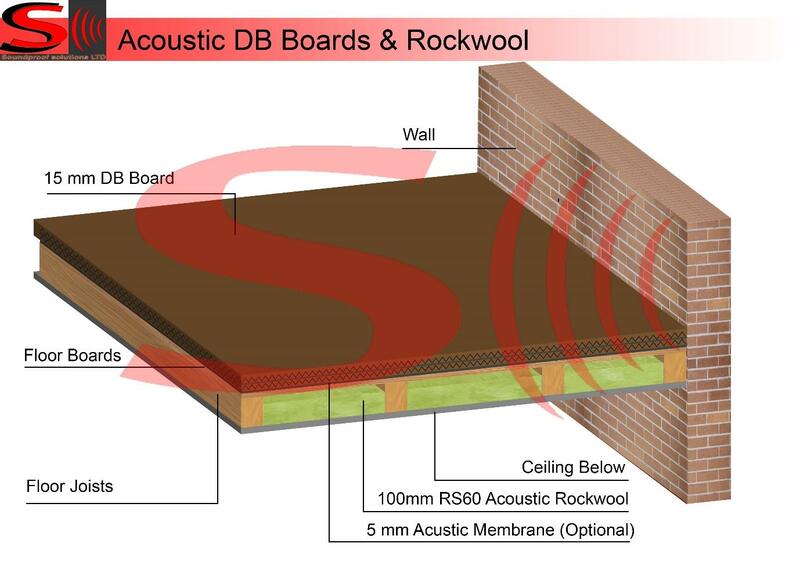 With this solution we have to lift floorboards, then we place acoustic materials between joists (100mm Rockwool and 12,5mm Sounshield plasterboard). Floor boards will be replaced. Then on the top of the floorboards we place 19mm sound plank. That solution takes about 20mm of floor height. All gaps will be sealed with acoustic mastic. The system can be upgraded with additional 5mm Acoustic membrane (optional cost). To increase the efficiency system can be upgraded with additional 5mm Acoustic membrane. Simple but effective solution under carpet or wooden floor. 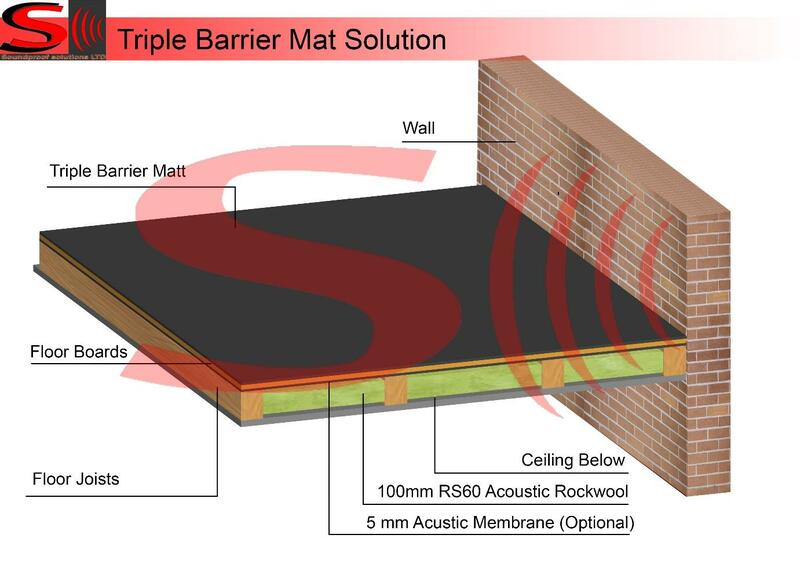 Triple Barrier Matt is a 15mm flexible acoustic insulation mat. This material is made from two acoustic layers of barrier mat with a resilient chip foam core. It can be used where both airborne and impact noise protection are required for concrete and timber joisted floors. Noise reduction 40-45%. – Optional 5mm acoustic membrane.